As the Thanksgiving and Christmas holidays approach, folks start dreaming of a perfectly roasted turkey with all the trimmings. Everyone has his or her favorite side dishes—dressing or stuffing, mashed potatoes, sweet potatoes, green bean casserole, or maybe even mac-n-cheese. Then, of course, comes the pumpkin, pecan, or apple pie! 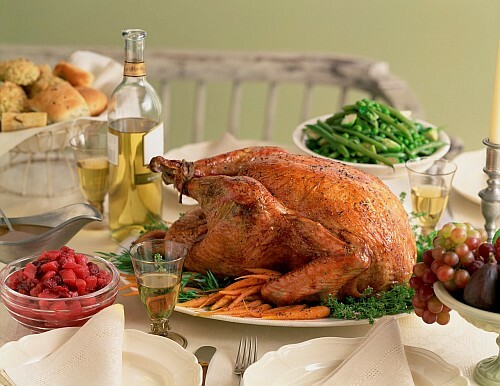 Things are the same at our house, with family coming in for the feast and sitting down to a cornucopia of goodness. 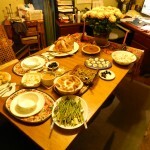 We also have a vegetarian in the family, and so the side dishes take on more significance. 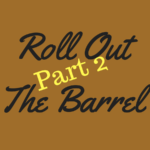 We did try a “tofurky” one year, which, if you’re not familiar, is a pre-packaged, log-shaped roll of tofu with stuffing inside and a gravy you can add or not, according to your preference. And yes, it was just about as good as it sounds (uh, not very). After that misadventure, we resolved to just stick to some great veggie dishes and stuffing alongside our beautiful roasted turkey. 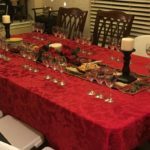 However, when contemplating the relatively static menu every year, I do ask myself the same thing—what wine should I pair with our Thanksgiving feast? It’s not that it’s difficult, but rather, there are so many possibilities! If you do a web search, you’ll see the usual white wine suspects come up: Chardonnay, Pinot Gris, Riesling, Vouvray, Chenin Blanc, and Sparkling White. If you’d like to try red, some websites will mention Lambrusco, Beaujolais, Pinot Noir, Bordeaux, and (to my surprise) Zinfandel. But I’d like to stick with white. 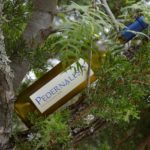 Here in Texas, if there is any white varietal that we wine lovers have come to appreciate, it’s Roussanne. I well remember my first taste of Texas Roussanne at Calais Winery in Dallas (before they relocated to Hye, Texas) with its crisp minerality, zingy acidity, and notes of honeysuckle and pear. I’m quite sure that Roussanne will make a lovely pairing, and there is plenty of web evidence to support my thinking. 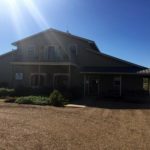 So, I’ve been planning to pay a visit to the wonderful Eden Hill Winery in Celina this coming weekend, to pick up a bottle of their award-winning Roussanne, and that’s still my plan. I still wanted to know what a real expert thinks, someone who creates great pairings for a brilliant chef; an expert who builds wine lists for two of Dallas’ absolute finest restaurants. So I turned to the team of Scott and Gina Gottlich. 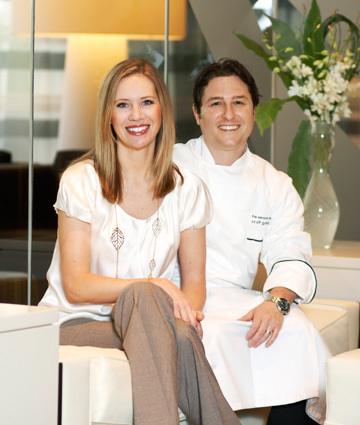 Scott Gottlich was recently named one of Dallas’ top chefs by Dallas Morning News food critic Leslie Brenner, and while Leslie and I may not see eye-to-eye on all things culinary, I definitely second her opinion here. I’ve had some of the best food of my life at Bijoux and Second Floor, and on top of that, Scott and Gina remain some of the nicest, most down-to-earth people you could hope to meet. Scott creates the menu, and Gina builds the wine list—and that’s how they do their pairings. Well, gosh darn, she has a point there! I guess that means I’ll have to try two Texas wine pairings! 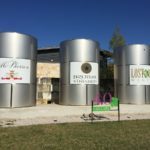 This weekend I’ll swing by Landon Winery in McKinney on the way to Celina, and I’ll get a bottle of their fabulous sparkling white, which was also an award-winning wine. 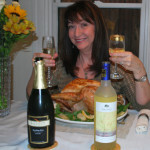 So, we’ll have two Texas wines: a Roussanne, and a Sparkling White. After Thanksgiving, I’ll let you all know how it all worked out. Meanwhile—what are you thinking will be your Thanksgiving wine? 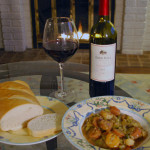 Remember there are many fabulous Texas wines out there that will do your feast proud. Meanwhile, why don’t you visit our Texas Wine Lover Facebook page and tell us what you are planning. We’d love to hear what you have in mind!